Monday, December 2nd is 2013's ‘Cyber Monday'  the day that heralds what is expected to be one of the year's busiest and most profitable weeks for online shopping websites as Christmas gets closer. Not only is it the busiest pre-Christmas day of the year for internet shoppers, but it neatly coincides with a different Monday - the one that immediately follows most people's final payday before the need to go Christmas shopping. As a result, enough people feel flush with disposable income to be able to do their online Christmas shopping now, in good time to get it delivered. Experian figures show that on Cyber Monday 2013 there will be 113 million visits going to UK online retail sites, a 1% increase since the same day in 2012. However, it may yet be eclipsed by the following Monday on December 9th, as Cyber Monday's date is early this year and people increasingly expect retailers to be able to deliver gifts closer to Christmas. 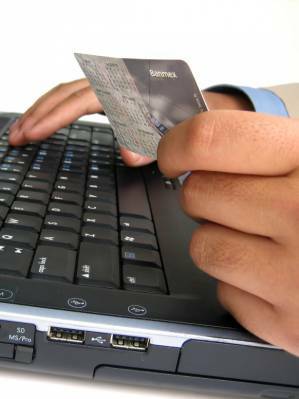 Boxing Day is predicted to be the single biggest online shopping day of 2013, with 115 million visits to retail sites. In all, UK consumers are predicted to spend 400 million hours shopping online during December, a 7.5% increase since the same month a year ago, and the number of visits to online sites is expected to exceed 3 billion for the first time ever in December 2013. If you need credit, apply carefully  Check your credit rating before you apply for a new store card or credit card. This will give you the best chance of knowing if you will be accepted or not. A 30-day trial of Experian Credit Expert could help tell you what factors are affecting your rating, positively and negatively, and can help you improve it. Make sure your credit report is up to date and that the information on it is accurate. Even small details like the way your name and address is recorded could have a significant impact. Check your credit rating before you apply for a new store card or credit card, as this can give you the best chance of knowing whether or not you will be accepted. If you check early you may have time to improve things before Christmas, or ahead of the sales. New members only. Monthly fee applies after 30-day trial. Free trial period starts on registration  further ID verification may be required to access full service, which may take up to five days. And it's best to avoid making too many applications close together, even if it's just to see if you could get one, as to lenders this could signal financial stress. Buying on credit can give you protection  Not every present works out perfectly. At Christmas people often buy goods that don't work properly, don't fit or are even unwanted. So it's a good idea to ensure you are protected not only by keeping your receipts (which not all of us do with gifts), but with the protection that buying on credit can offer. If you buy goods or services on your credit card, you have extra protection if things go wrong compared with paying by cash or even debit card, under section 75 of the Consumer Credit Act. But make sure you don't get carried away and you're able to pay it off in January. Remember to pay it off - Try to stay within your credit limits and pay your credit bills on time, as missed or late payments stay on your credit report for at least six years, and this can have a big impact on your score. You can keep on top of all your monthly financial commitments and track your spending using Money Dashboard's free money management software. If you're not able to make the minimum payment, speak to your lender as soon as possible  just don't bury your head in the sand. Cheaper prices online - One of the things that makes online shopping so popular is that items are normally cheaper from e-retailers than physical shops due to the added overheads of operating a physical location, which often exceeds the cost of direct postage and packaging to your home. If the item you're buying is listed on Amazon UK, see if you can grab an Amazon discount using Money Dashboard's Price Beater.